In a 2,000-product marketing technology ecosystem, marketing clouds attempt to bring all the functionality you need into one place, in one system of record, with one unified profile of your customers, and one unified, simple user interface to control it all. At least, that’s the theory. To find and report the reality, we surveyed 1,483 marketing technologists, studied marketing cloud penetration data on 10s of millions of websites, combed through vendor financials, conducted more than 20 personal interviews, collected over 150 feature and functionality data points on 19 vendors, and gathered and analyzed revenue share statistics for key vendors. 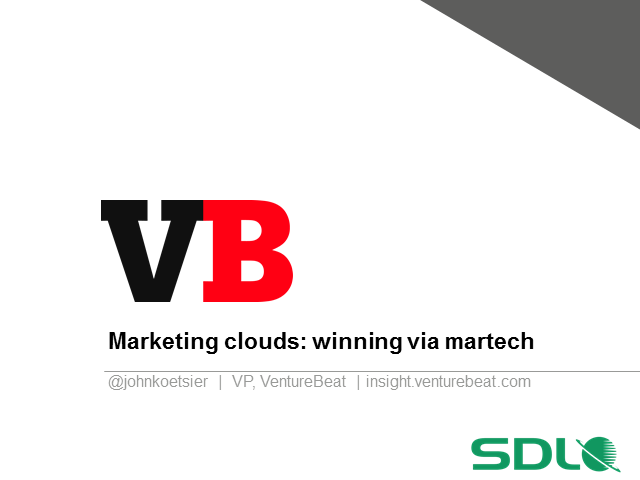 - What is a marketing cloud, anyways? - What existing marketing cloud clients say about what ROI they’re getting, what effect having a marketing cloud has had on their marketing, how long they took to research marketing clouds, how long it took to set up their marketing clouds, how much they intend to invest next year.